It’s ten years now since publication of my first novel, The Accidental Time Traveller. It sold – and still sells – reasonably well, was translated into a number of languages and I still get e mails from enthusiastic readers all over Europe. 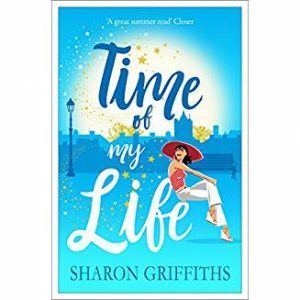 My publisher Avon have given her a new name – Time of My LIfe – a smart new cover and re-issued her on Kindle so she’s out in the world again, hoping to make a splash. 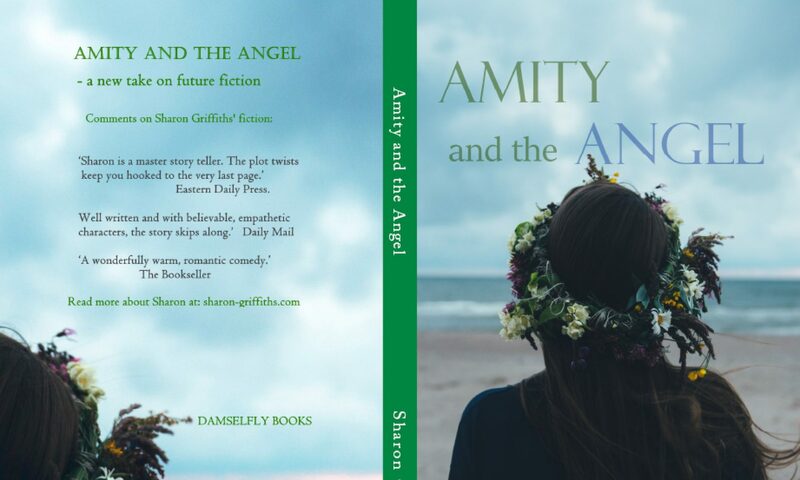 In some ways, the story – about a 21st century journalist who finds herself back in the 1950s without hairstraighteners, Lycra, the Pill or much equality- is even more relevant. There’s been an upsurge of nostalgia for the so-called “good old days” of the 1950s. But were they really that good? Are they bored yet? Have they beaten each other up, painted the cat, flooded the bathroom and driven you mad with pleas for outings/sweets/Netflix or a new computer game? Summer holidays are such fun. Estimates on how much it costs to entertain children over the holidays range from £600 to £7,000 (£7,000 per child? Who ARE these people?). But the idea of “entertaining” children over the holidays would have been totally alien to earlier generations, when children were just turfed outside with a jam sandwich and told to get on with it. There were no childcare problems because children looked after themselves. Sometimes they played games but quite often they spent their days just mucking about. Whatever happened to “mucking about”? Children now barely pass a moment without adult supervision. But that doesn’t mean we have to provide non-stop entertainment, like manic hi-de-hi Redcoats. A little boredom does no harm. In fact, it’s positively beneficial. Coping with boredom is a vital life skill that we should help them develop from an early age. Call it mindfulness if it makes you feel better. True, it can backfire. A friend who left her bored sons for a an hour or so came back to find them lighting a fire on the kitchen table “to see if it works.” It did. Grown ups find it hard to cope with boredom – especially without their phones – so children definitely need more practice. If you can shut your ears to their whining you’ll be doing them a favour. And saving yourself a fortune. It might inspire them to read a book, write a book, invent a game or dig an elephant trap. Or just learn how to cope. Turf them outside and let them “muck about” without you. There were always welshcakes in my childhood. Like bread or cheese they were staples in the pantry, almost any pantry. When we visited my father’s Pembrokeshire aunties – ancient ladies in wrap-around pinnies – we ate welshcakes at scrubbed farmhouse tables, with old copies of Farmer’s Weekly under the cushions on the settle and the faint smell of damp and cows and primroses everywhere. Welshcakes were served with home-brewed beer for the adults and ginger beer for children. The ginger beer was so fierce and fiery, the bubbles racing up your nose ,that it almost took the top of your head off and every glass of the commercial stuff since then has been a deep disappointment. My mother’s aunties in the Valleys served us tea in delicate cups on lace tablecloths and we had to mind our manners. But the welshcakes were just as good. They were kept in a battered tin with a picture of King George and Queen Mary. The houses smelled of polish and Brasso and the free coal my uncles got as miners. The aunties used a griddle on top of the range, my mother made welshcakes directly on top of the Aga, risking burnt fingers as she wiped a butter wrapper over the hob. My sister was the welshcake queen of Oxfordshire,making them in a heavy le Creuset pan and storing them in Tupperware and taking them to hospitals and coffee mornings and sick friends. When she died we joked that she would turn up at the Pearly Gates with a tin of welshcakes for St Peter. This week in Yorkshire I made welshcakes with three year old Bethan, younger grand-daughter. Wrapped round and round in an enormous apron, she stood on a chair and carefully mixed the flour and the butter, sugar, sultanas and egg, concentrating as hard as if I was giving her the secret of the universe, which in a way,I was. We looked for a box for her to take some welshcakes home and at the back of the cupboard I found an old ice cream carton that my mother must have used to bring cakes to us more than twenty years ago. An ice cream carton and a recipe for welshcakes – who needs heirlooms with treasure like that to hand on? I heard recently about the death of an old friend. Phil was never the great love of my life but we were good mates, good friends and spent a lot of time together years ago. Back in the 1970s we shared a passion for Ealing Comedies – The Lavender Hill Mob, Kind Hearts and Coronets, The Ladykillers etc and spent many an evening scouring the old flea pit cinemas of Oxfordshire to see them. Eating popcorn in almost deserted cinemas that smelt of damp and decay, but we were happy and laughing in the dark. At the time Phil drove an ancient sports car with a dodgy starter motor. This meant we often had to come giggling out of the cinema and push the car to get it going. Then we would – literally – jump in the car and head off to his place or mine. Then I moved away. We met and married other people but over the years had met up occasionally and were always pleased to see each other, a friendship that might have survived even better had we not lived 200miles apart. So when I heard he’d died I was sad for Phil and his life cut short and for his wife and family. 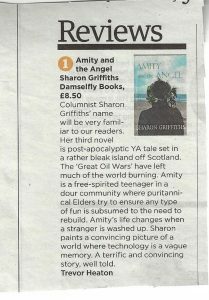 Delighted to see this review of my latest novel from the Eastern Daily Press. You see them everywhere with a spring in their step – ladies of a certain age with all the day’s essentials in a day pack on their backs. Sometimes the packs are seriously smart and the rest of the outfit too. More often, the clothes – and especially the shoes – have practical comfort first. But whatever, the women bounce along as if a weight has lifted from them, especially if theyr’e alone. The chances are that they started their working lives carrying handbags until motherhood left them unable to go out of the house without a baby, a buggy and a bag of nappies, bottles, raisins, wipes, spare clothes. By the time they got back to work there were briefcases, laptops to carry and a handbag big enough to carry emergency essentials for everyone in the family. These women have gone through their adult lives literally weighed down by work, family and responsibility for other people. So you see them in galleries and theatres, shopping, strolling, sitting in pavement cafes in foreign cities soaking up the sun and a glass of wine.There are lots of them in National Trust properties, country pubs and anywhere interesting. They have time and energy to look around them, explore new places, new experiences. Hands-free, hands in pockets, alert, lively and free, literally, of the baggage they’ve had to carry for years. Women’s liberation for grown ups. The sheet must be at least 60 years old – probably bought in the early years of my parents’ marriage before my mother’s fancy turned to coloured sheets and patterns. This sheet is plain white, made of thick, heavy cotton, worn soft by endless washings in the old wash boiler, hung to dry in the Welsh sun on the line between the apple trees, then aired on the rack above the Aga. Because my mother always believed in keeping anything that might be useful, it came to our house in a huge bag of linen after she died. Some of the sheets I used, others I gave away. Some I cut up into tea towels, some I turned into Hallowe’en ghosts. This sheet just stayed in the bag at the back of the wardrobe, still immaculately folded by my mother, goodness knows how many years before. Then our first grand-daughter arrived. Her parents brought a travel cot for when she stayed with us, complete with cheerful sunshine yellow cot sheet. But the baby never settled. She was a restless baby anyway but the travel cot seemed hopless. Until one day I took the old cotton sheet, folded it in four, and tucked it into the travel cot. Maybe it was the thickness of it after the slippery polycotton yellow, maybe it was the snugness, the softness. Maybe even it was the memory of Welsh sunshine and a great grandmother she never knew. Either way, the baby slept soundly. The trick worked for her little sister too. Then this week it was the turn of our grandson Fred, nine months old and a hurricane force of robust energy and restlessness after his parents had moved out of their flat before going to America. He wasn’t a great fan of strange cots but hurtled into this one and instantly crashed out every time. “Mmmm….” said my son, wonderingly. And that’s why Great-granny’s magic sheet is going to America tomorrow. In a swish apartment in a swish part of Washington, Fred willbe sleeping on a 60 year old sheet. My mother would have been thrilled to bits. 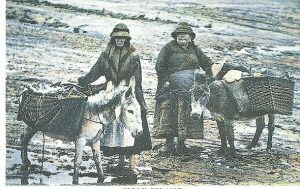 I love this picture of fisherwomen on Holy Island in 1857. They are dressed for work, assorted layers for warmth and practicality. Their feet are probably soaked through and cold. And their expressions as they look at the photographer clearly say “We’ve got work to do. Haven’t you anything better to do than take pictures of us?” Even the donkeys, laden with heavy baskets of fish, look fed up. I’m sure – I hope – that these women had some fun and love and laughter in their lives but everything about them seems to reek of stoicism, of relentless keeping on keeping on, a daily grind that had little opportunity for treats and jollity. And they were the lucky ones who could make a living. With all due respect to them both, they do not have the appearance of women who indulge themselves with creams and lotions or run through hay meadows with their glorious hair blowing free in the sunshine. This is what the past looked like. It wasn’t picturesque and pretty. It was for many a world of work and care, of managing on very little and having to settle for less, when girls might have been gorgeous at 16 and ancient by 30. Just remember this when you watch Poldark.